Bachelor in business administration is one of the, most sought after courses among the youth nowadays to join the corporate world. This 3-year professional course opens up numerous career options in a wide number of fields. Candidates who are willing to pursue BBA courses are expected to have good leadership skills, decision-making skills, good writing and communication skills. We are listing here some of the top BBA colleges in Kolkata as of 2019. 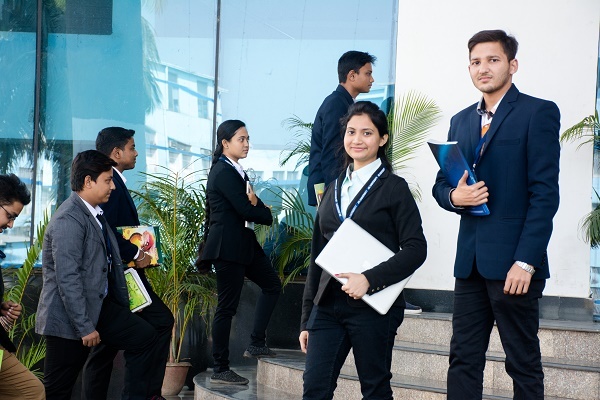 This is easily one of the best and most sought after colleges in Kolkata.The management program was started in the school in the year 2002 and has come a long way since its inception. The program is unique in itself and has given the core values to its students in terms of Intellectual Depth, Leadership Skills, and Social Responsibility. The college is NAAC accredited with A’ grade which is the highest possible rating. The college provides a full-time undergraduate degree three years duration. The fees are nearly 2.5 lakhs. The J.D.Birla is affiliated to Jadavpur university a world-renowned center of excellence and the Department of Management’s flagship BBA program has been ranked 1st in Eastern India and 4th nationally by India today recently. It was also given the grade A rating by the NAAC( National Assessment and Accreditation Council). The English medium school charges 3.7 lakhs for a three-year course giving the degree BBA(Hons). It is the second oldest college in North Calcutta established in the year 1830, producing eminent personalities such as Netaji Subhas and Swami Vivekananda.The college is now affiliated to the University of Calcutta and has been given a grade ‘A’ rating by the NAAC and also has the tag college with potential for excellence. The medium of education is English mostly. The fee structure stands roughly at 1.5 lakhs. the BBA programme I JIS university focuses on enhancing analytical skills, awareness, and sensitivity to ethical issues in business also an understanding of international cross-cultural relations and developing leadership qualities. BBA course duration is 3 years and eligibility being 10+2 from any stream with a minimum of 45% marks. Under Graduate Aptitude Test qualified candidates and directly apply for GD and PI.JIS University also offers an integrated BBA+MBA course which is 5 years in duration. The eligibility being 10+2 with a minimum of 50% marks. The course fees for the regular BBA program stands roughly t 2.10 lakh rupees. The Institute Of Engineering And Management is the oldest private institution in Kolkata to impart quality education to its students. The college is affiliated to MAKAUT formerly the West Bengal University of Technology. IEM has hit headlines by being ranked as one of the top B schools in Kolkata. The total intake of 120 students there is two sections in a year.the college is one of the most renowned private universities in Kolkata with the NAAC accreditation of grade ‘A’.the medium of teaching is English. The college boasts of a good placement record of 85-90% in its BBA program. The fee structure stands at 1.4 lakh rupees.